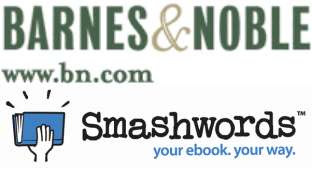 Smashwords has signed an agreement with Barnes & Noble to distribute Smashwords ebooks. As you might imagine, we're thrilled. Until today, it was difficult if not impossible for many independent authors and publishers to gain such mainstream digital distribution. Now with Smashwords, virtually any deserving author, anywhere in the world, can receive broader distribution for their ebook. We trust this is good news for Barnes & Noble as well because it makes thousands of new titles accessible to their customers. As any large retailer can attest, you want to carry the broadest possible selection for your customers yet it's virtually impossible to strike relationships with every individual author or publisher who walks in the door. Even with ebooks, where an online store can offer virtually limitless online shelf space, it's still a challenge to sign on promising authors, because each business relationship requires technical setup, contracts, accounts payable systems, automated data feeds, sales tracking and more. We're an onramp that makes it easy for Barnes & Noble to accept and sell books from indie authors and publishers. This is an important milestone for Smashwords. 15 months ago when we launched, we were an ebook publishing platform for self-published authors. Earlier this year we opened our services to publishers. And today, we expand our role to that of an ebook distributor as well. Smashwords ebooks are now distributed via multiple online channels, including Smashwords.com, Stanza (the e-reading app used by 2 million + people on the iPhone/iPod Touch), Aldiko (for Google Android phones) and soon, the Barnes & Noble network (Barnesandnoble.com, Fictionwise, Ereader app, others). If you're an author or publisher, I invite you to join with us today. We'll make it easy for you to publish and distribute your book to a worldwide audience. Our services are free. As the author or publisher, you keep up to 85% of the net (net = proceeds to Smashwords multiplied by .85). We offer you free social media-enabled tools to help you take control over your marketing and promotion. As part of this development, we're creating a Premium Catalog, which contains Smashwords titles that meet the mechanical requirements for distribution. We posted a page to inform our authors and publishers about how to gain inclusion in the Premium Catalog: http://www.smashwords.com/distribution. Pardon our dust. These guidelines will surely evolve as we work out the inevitable kinks and bugs along the way. Stay tuned. We're just getting started. I'm appearing tomorrow, Saturday, at 11:30am Eastern on the "Cover to Cover" radio show with Frank Gromling, aired on WNZF radio and streamed on the Internet. We'll talk about ebook publishing trends, ebook publishing opportunities for authors and publishers, and Smashwords. You can listen to the show as it airs by clicking the LISTEN LIVE! link on the this web page. If you live near northeast Florida, you can tune in live at 1550AM and 106.3FM. After the show airs, it'll be archived here. We taped the show Wednesday. Before I met Frank, I didn't know there was a mainstream radio show dedicated to the business of publishing. Each week, Frank examines all aspects of the book publishing world -- from what titles are hot, to up-and-coming authors, to how books are produced and marketed. His guests come from every aspect of the book world, including publishers, authors, illustrators, buyers and reviewers. Frank is a strong advocate for independent publishing. He's the founder and publisher of Ocean Publishing, a small press that specializes in nonfiction titles about nature, marine life, environment and conservation. 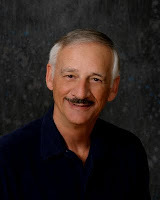 He's also past-president of the Florida Publishers Association, board member of the Independent Book Publishers Association, and author of Frank's Whales. Ocean Publishing has 18 titles in print and publishes four to five books a year. Soon, we hope to welcome Ocean Publishing to the growing ranks of independent publishers who distribute their books on Smashwords. Frank tweets on Twitter at @oceanpub and blogs at http://oceanpub.wordpress.com. The traditional model for textbook publishing is broken. High college textbook prices are threatening to render college unaffordable to many students and their families. Textbook price increases have exceeded inflation for the past 20 years. The average textbook can run a student $100 or more, and especially for community college students, the price of textbooks can exceed the price of tuition. As usually happens whenever business models get out of sync with what's fair and right, free market alternatives soon emerge to remedy the pain. In the case of textbooks, the solution has been the used textbook aftermarket and, more recently, textbook rentals. Although used textbooks offer students lower prices, the aftermarket denies authors and publishers any additional revenue. In response, publishers accelerate publishing cycles by introducing new versions with little more changed than the page numbers. This hurts students, because they need to shoulder the increased expense. It hurts educators who need to modify their curriculum around the text (how often does a textbook on Microeconomics really need to change?). Whenever you anger your customer, the customer reacts in creative (and predictable) ways. For some college students, the answer is piracy. College students can find free digital versions of nearly every college textbook, even new ones, via the underground file exchange services. For others, it's the used market. The current model for textbook publishing is unsustainable for students, publishers, authors and educators. Enter Flat World Knowledge. I first blogged about Flat World last year (As I disclosed then and I'll disclose now, my enthusiasm for them is not entirely impartial. I'm a Flat World investor, a former advisory board member, and the PR firm I own, Dovetail, represents them). Flat World is a publisher of commercial open source textbooks. They offer their professionally produced, peer-reviewed books to students for free online, and then they monetize the books by offering low cost printable downloadable PDF ebooks, digital study aids, audiobooks and low cost print on demand versions. Instructors are free to modify the texts to suit their exact classroom needs. They can cut chapters, add their own case studies, whatever they want. Last semester, Flat World books were used by 1,000 students at 30 colleges around the world. The company announced this morning that this Fall semester, 40,000 students at 400 colleges will utilize Flat World texts in their classrooms. In an interesting twist not typical of the traditional textbook sales process, more and more instructors are requesting Flat World books without an intermediary interaction with a sales person. In short, Flat World is taking off, with important implications for publishers of all stripes. Click here to visit the Flat World Knowledge web site. As of today, Smashwords ebooks are available on Android phones thanks to our new distribution relationship with Aldiko. If you're not familiar with Android, then you probably don't yet understand why the news above matters. If you're an ebook author, publisher, or reader, and you're looking to sell or discover ebooks, I wrote this post for you. Consider it an "Ebooks for Android" primer. First, let's start with what you know. Many ebook fans are familiar with the iPhone. The iPhone has become one of the most popular ebook reading platforms, thanks in part to its fantastic touch screen, but also thanks to a proliferation of great e-reading apps such as Stanza, eReader and BookShelf. These apps, created by independent software developers, add value to the iPhone by letting you do cool things with your phone, like reading ebooks. Smashwords ebooks, for example, are discoverable by more than two million users of Stanza because they're listed in Stanza's native catalog. The iPhone, like many other "smart phones," isn't really a phone at at. It's a computer. And like any other computer, it relies on an operating system (just like Windows is an operating system) to allow the apps to work their magic. The iPhone uses a proprietary operating system, which means Apple controls it. Now that Apple has demonstrated the profitability of selling an app-happy computer wrapped in a telephone's clothing, other phone makers are looking to get in on the action. To turn their phones into smart phones, however, they need an operating system. Rather than build their own operating system, several handset makers have decided to adopt a new mobile operating system standard called Android. Android is one the most promising developments you'll hear about this year in mobile phones. A little history on Android: A few years back, Google acquired a company by the same name, which was creating an operating system for smart phones. In late 2007, after shepherding the project along, Google and 47 other companies created the Open Handset Alliance, a consortium of phone makers, software developers and other interested companies who wanted to further develop the Android system and make it available as an open standard that all smart phone companies could utilize. Several million Android phones have already been sold, and by the end of 2009 nearly two dozen new Android-enabled phones will be on the market. Like any other operating system, be it Microsoft Windows or Android, the real value of the operating system is in running applications created by independent software developers, like e-book reading apps. According to Flurry, a company that helps techies develop their mobile apps, app developers are excited about Android, probably because so many phones are coming out that support Android. 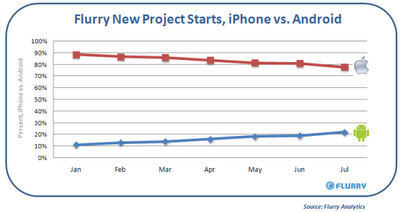 Flurry tracks the number of their developers starting new app development projects for different platforms. As you can see in the chart below, the number of new Android projects is growing quickly, while the number of new iPhone projects is declining. These new project starts are an indication of the type of explosion we're likely to see in applications for Android. 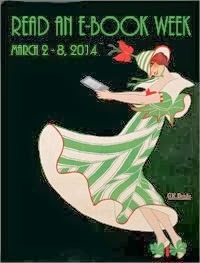 Bring on the ebook applications! The advantage of developing an Android app is obvious to many developers. By developing, for example, and ebook reading app for Android, the app will work on multiple smart phones from multiple manufacturers. So they can build it once and sell it on any device. Apps developed for the iPhone, by contrast, only work on Apple's devices. All these different Android phones represent potential ebook discovery platforms for authors, publishers and readers. With today's news of our partnership with Aldiko, Smashwords authors, publishers and readers can benefit from any growth in the Android handset market. If you're a Smashwords author or publisher, and your books are available in our EPUB format, your books are ready for immediate sampling and sale on Aldiko. If you own an Android phone, with a lot of patience and a little luck you might locate Aldiko at the horribly designed Android Market, which is the official online marketplace for Android apps. The good folks at Aldiko inform me that if you point your Android phone's camera at the bar code below, it'll help you download their app more easily. Print books are like zombies. They don't die easily. When I told my wife Lesleyann I was considering titling this post, "Why Print Books Must Die," she flashed me an icy stare that said, "Don't you dare!" In deference to Mrs. Smashwords, I changed the title. Don't get me wrong. I love print books. Lesleyann and I collect them. Every Friday, we do date night at the book store. Books form narrow hallways in our house. I'd say I'm cursed by print books except it's really more of a blessing, as anyone sharing our affliction will tell you. I don't want print books to go away. The real purpose of this post is to make a point about DRM. More about that in a second. From an early age, we're taught to respect books. We know and love them as receptacles of knowledge and entertainment, and as artifacts and souvenirs. They're expressions of personal identity and personal desire. It's quite amazing, really, how books can envelop our lives like, uh, mossy green zombie goo. There's a dark side to these zombies of the printed page. We never throw them out, so they're difficult to kill. We pass them on to friends who read them, and then they pass them on again. We sell them, or trade them in for credits at a used bookstore, or we donate them to a library and they change hands again and again and again. Each time they pass from the previous owner to the next, the author and publisher who invested so much effort to create the book don't see a cent. I'm not the first person to raise this point, and I won't be the last. What do book Zombies and DRM have to do with one another? Quite a lot, actually. DRM, or digital rights management, is a scheme designed to prevent ebook customers from illegally copying and sharing ebooks (most ebooks are licensed like software - you're not legally allowed to share them with friends, or resell them). There's a big debate in publishing circles about whether or not books should be protected (afflicted?) with DRM. I, and many other progressive book people, think DRM is a bad thing. It treats law abiding customers like criminals by limiting their ability to enjoy their book their way. Others, like a concerned author who emailed me the other day, fear that without copy protection, customers will pirate their books and soon, millions of unpaid copies will be in the hands of ungrateful readers. Lost in this debate about whether publishers can trust their customers to do the right thing is the zombie elephant in the room. Each time a print book passes to a new owner, the author and publisher earn nothing. It's not piracy, but it has the same effect. While I think piracy is a bad thing, and chronically under-compensated authors and their publishers deserve more money for their work, it bears remembering that book piracy pre-dated ebooks. Ebooks, even DRM-free ebooks, could help mitigate the book piracy problem. Assuming publishers continue producing zombie print books, the incremental cost to create an ebook is infinitesimally small. Smashwords, for example, will convert a finished Microsoft Word manuscript into nine ebook formats at no cost. Many free conversion tools to do the same. Once in ebook form, ebooks cost virtually nothing for the publisher to print (duplicate) and ship. Unlike Zombie books, ebooks have no inventory, no returns and theoretically (if customers for the most part are trustworthy, as I think they are), no sharing or reselling. Ebooks are cheap to make, so the publisher can offer them to customers at a lower price. By lowering the price, publishers expand the affordability of the book to a wider potential audience, including folks who can now purchase the book as opposed to seeking out a pirated copy. Bigger market, bigger profits, cheaper books, no zombies. It's a win/win/win for author/publisher/customer. Want more zombies? 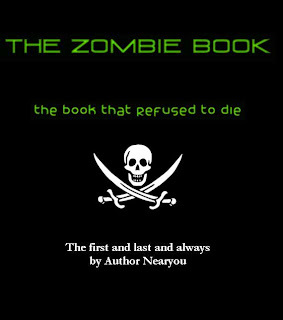 Click here for Smashwords ebooks about zombies. Shelley Lieber has invited me back to VIP Authors for a live encore performance Wednesday at 2:00pm Eastern time of the ebook publishing tele-class we first presented back in June. The theme this time around is, "Everything You Always Wanted to Know about Digital Publishing (but were afraid to ask)." If you're an author or publisher, and you want to learn how to make the move to ebooks, come join us. Don't forget to bring your questions. I really like Shelley's approach. There's no PowerPoint presentation. It's just Shelley and I on a conference call with Shelley asking smart questions, and then we open it up to audience questions. This time around we're reserving up to 45 minutes for the audience segment. We're also going to invite folks on Twitter to tweet Shelley questions. Shelly is @wordywoman and I'm @markcoker. If you're not familiar with Shelley, check out my Q&A interview with Shelley from a few months back here on the Smashwords Blog. Shelley's a great advocate for all authors, so I highly recommend you learn about her and get involved with her VIP Authors program. The class runs from 2:00pm - 3:30pm Eastern. It's free to listen to the live call and ask questions. Click here to learn more and register. Alright, this is god awful silly. I don't know whether to laugh or get mad. I'm leaning toward mad, judging from the adrenaline. It always bugs me when big swinging ding dongs try to throw their weight around using lawyers and the threat of legal action to bully or intimidate. The ding dong in question is Priceline.com. A couple hours ago, I received the email below. Priceline is threatening to sue Smashwords if we don't take down our experimental web site, Name-your-own-price-ebooks.com, which is one of a constellation of sites that comprise the Smashwords Satellites experiment we launched a few weeks ago. Apparently, I offended the sensibilities of their trademark by using the sacred words in a domain name. While they're at it, maybe they should sue Publisher's Weekly for using the term in a book review to refer to Radiohead's innovative experimental pricing model, or sue Amazon.com for reprinting the review, or sue Chris Anderson for using the Publisher's Weekly review to promote his book, Free. I've always been a huge fan of William Shatner, but I think Priceline.com just lost a customer. Yesterday, our office received a call from someone inquiring about the above-mentioned domain, which I registered in my name and the name of the PR firm I own, Dovetail Public Relations. The message I received was cryptic, usually the sign of someone trying to sell me something I don't need. If you ever want to make me not what to return your call, inquire about a domain name that's hardly worth the $8.00 I paid for it. Did she want to purchase the domain? It's not for sale. I only responded because I thought there was a chance she might be a Smashwords customer, possibly having trouble with an ebook. 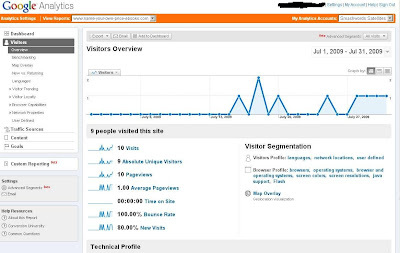 Personally, I think it's a poor domain name, judging from the fact that as of yesterday, according to Google Analytics (click on the screen shot at below), the site has attracted a grand total of (drum roll please) nine unique visitors for a total of ten visits in about 16 days. No, those aren't typos. I'm not rounding to the nearest million or thousand. The average time spent on name-your-own-price-ebooks.com, according to Google Analytics, was zero minutes and zero seconds, making me wonder if only robots and web crawlers have visited this particular Satellite. It also makes me wonder if the lawyer bothered to visit the site before billing Priceline.com a few sweet hours to write the toothy letter below. If she had visited the site, or studied Smashwords, she'd know we don't auction off ebooks. At Smashwords, we give our ebook authors and publishers multiple options by which to price their books, and name your own price is one of them (though we call it "You set the price!" Can we get sued for that too?). Radiohead inspired us to introduce the pricing option 15 months ago, not Priceline.com or my man William Shatner (hey, did you hear him reading Sarah Palin's tweets as poetry on Conan the other night? Hilarious.) . From its start, Priceline.com has required you to "name your own price". Priceline.com determines a minimum offer that they will accept, based on how much their consolidator contracts require them to pay the cheapest airline for your tickets. But Priceline.com doesn't tell you that price. You have to guess, and if you offer more than necessary, Priceline.com keeps the difference as a windfall of pure profit. This is, quite clearly, the system of price "negotiation" most disadvantageous to the consumer. Clearly, it's not at all similar to what we're doing at Smashwords. Some of our authors want their customers to set the price of their book. Often, it's whatever the customer wants to pay, or is capable of paying. A price of zero is acceptable and quite common. I'd apply for a trademark on "Free Stuff" but that would be silly. The silliest thing about all this is that this particular Smashwords Satellite, name-your-own-price-ebooks.com, was already a candidate for my chopping block. I shared the stats above. Now I'm not so eager to pull the plug. When we launched the Satellites, we made clear they were an experiment. Whether some or all of them become permanent standalone sites, or if we kill some, or merge some into the Smashwords.com mother ship (maybe I should refer to it as the Smashwords Starship Enterprise? ), remains to be seen. So far, customers have been uniformly positive on the experiment. Customers appreciate the ability to browse and discover ebooks sliced and diced into so many specialty categories, and they like how the user interface allows them to control the information presented. Oh, as an aside, here's an irony only ebook people and techies will understand: Her firm's web address is www.drm.com. The letter asks me to respond in writing. So here's my response: Maybe. We represent Priceline.com Incorporated ("Priceline"), the owner of numerous U.S. service mark registrations for its famous marks, including NAME YOUR OWN PRICE(r) (the "Mark"). This Mark has accrued enormous and invaluable goodwill with the public since 1998. Priceline has invested substantial sums in the last decade in popular national advertising campaigns featuring NAME YOUR OWN PRICE, which as a result is now a famous mark, as that term is defined in the Trademark Act. Our attention has recently been directed to your registration, on behalf of Dovetail Public Relations, of the domain name name-your-own-price-ebooks.com, which links to an active commercial site where users can bid on e-books. The service mark NAME YOUR OWN PRICE EBOOKS is displayed prominently at the top of each Web page. The registration and use of name-your-own-price-ebooks.com and the use of the mark NAME YOUR OWN PRICE EBOOKS for a Web site that allows users to bid on e-books by using Priceline's NAME YOUR OWN PRICE Mark and proprietary auction model violates Priceline's valuable intellectual property rights by trading on the goodwill of that famous Mark. This is illegal under federal and state law. Web users seeking the services of Priceline are being deliberately and deceptively lured to the name-your-own-price-ebooks.com Web site through your calculated infringement of Priceline's NAME YOUR OWN PRICE Mark. By using name-your-own-price-ebooks.com and NAME YOUR OWN PRICE EBOOKS, you plainly intend to mislead Web users into believing that your business is approved of, sponsored by or affiliated with Priceline. That e-books are being auctioned rather than travel services provides no defense. The NAME YOUR OWN PRICE Mark is so famous and so closely identified with Priceline that the scope of protection from dilution afforded the Mark under federal law extends to any product or service. You may therefore be held accountable for any sales attributable to consumer traffic improperly diverted to your site as a result of the violation of Priceline's rights. These actions also put Priceline at risk of irreparable injury through tarnishment of its reputation. Any further use of name-your-own-price-ebooks.com and NAME YOUR OWN PRICE EBOOKS as a service mark or business name must immediately cease, as must the use of any other infringing trademarks, service marks, domain names, electronic identifiers, URL addresses, metatags, promotional communications and the like, wherever they may appear, that incorporate "NAME YOUR OWN PRICE" or obvious variations of it. (c) you will not use "Name Your Own Price," "Name Your Own Price Ebooks" nor any other variation of the Mark, in any domain name or service mark, on any Web site, or anywhere at all in the future. If these steps are taken promptly, we will monitor name-your-own-price-ebooks.com but not pursue the matter further. We will visit the name-your-own-price-ebooks.com Web site shortly. If we find it still active we may, without further notice to you, file a complaint under the Uniform Domain Name Dispute Resolution Policy with the World Intellectual Property Organization, or take such other legal action as we deem necessary to terminate your tortious interference with Priceline's business. We are hopeful you will choose the path of least resistance. Let's do it over email. How can I help you? > Please call me on Monday. > You called? How can I help you? Most books quickly go out of print, relegated to the aftermarket dustbins of used book resellers. It's a shame, really. After years - or a lifetime - invested in writing and publishing a book, an author can watch their work vanish in the blink of an eye. Author Dan McGirt and his fictional dragon-slaying protagonist Jason Cosmo will have none of that, thank you. Some readers may remember the Jason Cosmo series of fantasy adventure books when they first appeared in stores in the late '80s. The series met with reasonably good commercial success with around 40,000 copies sold. Dan recently brought Jason Cosmo back to life by publishing Hero Wanted, the first book in the series, on Smashwords as a multi-format ebook. Dan's decision to independently re-publish the series illustrates the opportunity facing millions of out of print authors: Thanks to the wonders of ebooks, authors can digitally resurrect their out of print titles for the benefit of new and old fans alike. Please join me in welcoming Dan McGirt and Jason Cosmo back to a (digital) book shelf near you. [Mark Coker] What's the story behind Jason Cosmo? [Dan McGirt] I wrote my comedic fantasy novel Jason Cosmo when I was in college. It was published as a mass market paperback by Signet in 1989. Two sequels, Royal Chaos and Dirty Work, followed under Signet's Roc imprint. I didn't get rich, but the books helped pay my way through school. [Mark Coker] How did the book review? [Dan McGirt] Publisher's Weekly called Jason Cosmo an "energetic fantasy adventure" but also complained that "For the most part, McGirt's teeming inventions are sophomoric," which I didn't mind, having been a college sophomore when I wrote it. PW also said "McGirt seems prepared to stoop to the lowest literary levels to set up a joke," which is absolutely true, and concluded "His book may become a harmless, entertaining diversion for nerdy adolescent boys," which was probably a slam, but that is pretty much the prime audience for humorous fantasy, isn't it? I took it as high praise. 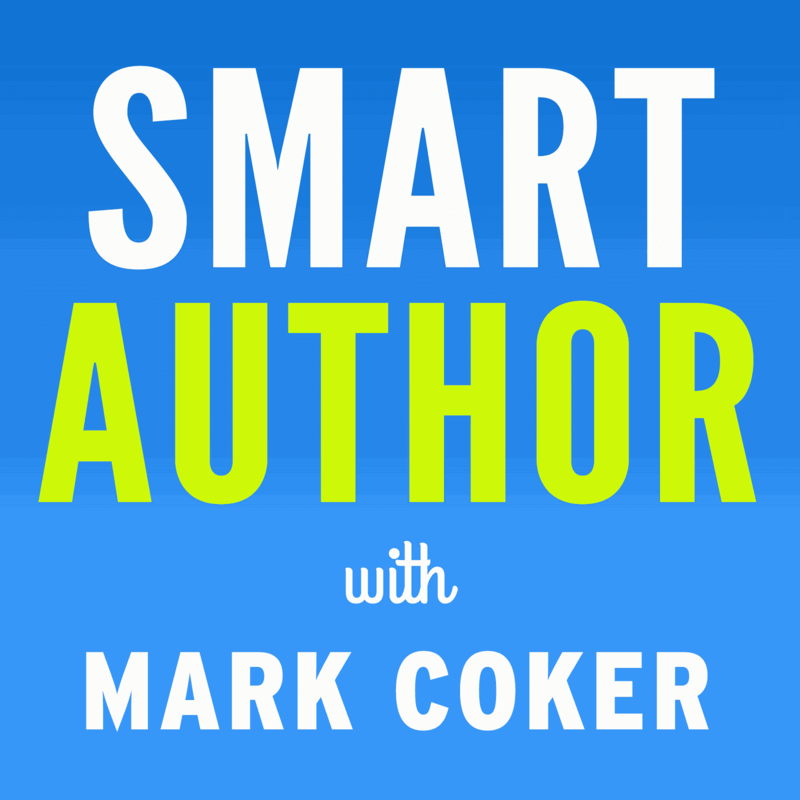 [Mark Coker] What other authors have you been compared to? [Dan McGirt] My books have been compared - not always favorably, mind you - to those of Terry Pratchett and Douglas Adams. They are definitely irreverent romps through the epic fantasy landscape. Jason Cosmo is a reluctant hero who may or may not be the reincarnation of the Mighty Champion of legend. Mercury Boltblaster is a cranky and cynical wizard he befriends. There are sword fights, dragons, trolls, an Incredibly Dark Forest, evil wizards, scantily clad damsels in distress - all the good stuff. [Mark Coker] What led you to form your own publishing company, Trove Books? [Dan McGirt] My publisher declined to add a fourth book to the series and gradually the books vanished from bookstore shelves. When I got a royalty check for 80 cents (minus my agent's commission) I figured that was curtains for Jason Cosmo. About ten years ago, I put up a simple web page. I started getting emails from what I call Loyal Readers all around the world. Most were some variation of "loved your books/whatever happened to you/when are you writing another one?" I decided to relaunch the series and, after studying various options, decided to start my own publishing company, Trove Books, to do so. The main thought behind that decision is that I already published these books the traditional way, so I may as well experiment in bringing them back. [Mark Coker] Hero Wanted is your first book on Smashwords. I love the cover. Tell us about the book. 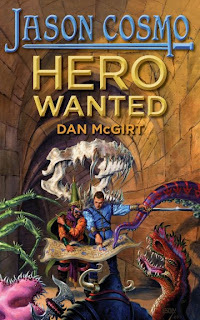 [Dan McGirt] Hero Wanted is the first book in the new series. It is a revised and expanded version of the original title Jason Cosmo. Award-winning fantasy artist Richard Hescox painted the super-awesome cover. What makes that double cool is that he did the cover art for the original 1989 book. I looked him up and hired him to do a brand new cover. It's fun to be the publisher! The print edition goes on sale today. I wanted an ebook edition too - both for readers who prefer e-books and for readers in other countries who might not be able to get the print book easily. [Mark Coker] What brought you to Smashwords? [Dan McGirt] I've done due diligence on just about every ebook format, device, publisher, and service provider to rise and fall over the last decade, but none of them gave me the combination of simplicity, control, market reach, and transparency that Smashwords does. When I first read about Smashwords, it sounded too good to be true--but I was pleasantly thrilled to learn this service is the real deal. Smashwords is what I was waiting for. Easy to use and lots of options to experiment with. For instance, I released the Hero Wanted ebook for free as a thank you to my longtime Loyal Readers who have waited patiently since my last novel was published in 1993. I like having the option to do that. I'm sure I'll be experimenting with the coupons, affiliate program, and other bells and whistles Smashwords has developed as I go forward. I appreciate the powerful tool you and your team have created for authors and publishers--as well as readers!--and your demonstrated commitment to being a resource for the 21st century publishing community. I look forward to publishing the rest of the Jason Cosmo series with Smashwords! 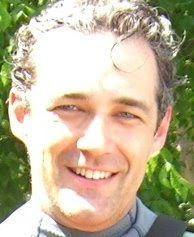 To learn more about Dan McGirt, or to download Hero Wanted for free, visit his Smashwords author page at visit his personal web site or the the site for his publishing company, Trove Books. If you want to purchase the dead tree version of the book, it's out today at Amazon. Click here to buy it.